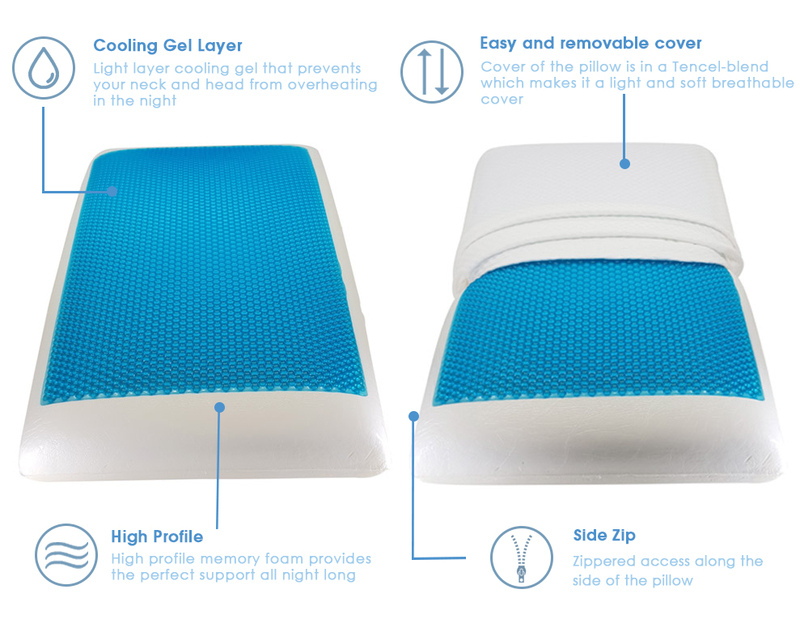 The Sleep Cool in a Bubble Gel Pillow is made from high density open cell memory foam and features a bubble gel pad on the upper surface for light cooling relief. The entire pillow is covered in a TENCEL-blend removable, easy case cover. Work smart, play well and sleep cool. Sleep cool and comfortable with Bambi's memory foam gel pillow. The superior support of memory foam together with our light and cool gel layer will keep your head and neck supported and cool while you rest.